There's nothing more awkward than someone asking you to change seats on a plane. I should know. Out of the hundreds of flights I've taken, I've been in this situation dozens of times, and it never gets better. These dudes were like "we are NOT switching even if we have the worst seats in history." In general, a passenger will ask you to switch seats so they can literally sit next to their wife, girlfriend, husband, BFF, colleague, whatever. It seems harmless... but doesn't it give you a little anxiety? You're put on the spot, having to think quickly for a response, and you want to say no but you don't want to come across as evil, so you end up saying yes to avoid coming across as evil—and your new seat seems like the devil's throne. Weird, right? Because you did something nice? Here's the thing. You chose your seat weeks before the flight. You should be comfortable in that seat and you don't have to feel guilty giving it up. It's YOUR seat! You don't need to compromise your comfort for someone else. You don't need to move your bag in the overhead bin, sacrifice your good seat for their mediocre seat or deal with any pressure to say yes, whatsoever. In fact, I find it a little irresponsible for someone to ask you to leave your comfort zone and switch with them. Here's why. The couple asking you to switch seats failed to book seats together. That's on them, not you. There is a 99.9 percent chance the airline did not separate them, so it's their thing to deal with, not yours. Another reason they could be asking you to switch seats is that they flew standby and got the last few seats remaining. They should be grateful they got seats, and not put anyone in an uncomfortable position to ask to switch. Lastly, if you're flying first class, a pair of passengers could have been upgraded to the last two seats remaining, so they should be grateful they got the upgrade and just take the seats given to them. Flying is not fun. In fact, it's stressful. When someone asks to switch seats, I think it's uncouth, lacking grace and wrong. Why should you now have the responsibility to make a decision, with the potential to feel guilt if you say no? It also looks bad on the person asking. Everyone looks at them with that eye roll. My recent scenario with a seat switcher: A man asked me to switch seats with his wife so he could sit with her. He was basically begging, and this already made him look ridiculous, mostly because the flight was less than 3 hours. I looked at him with the face of "You spend every waking minute with this woman... you can't sit apart for three hours?" Eventually, I did switch only to be kind, but it meant I got the bulkhead (with that awkward TV monitor coming out of the arm rest), next to a woman who kept farting and the food cart started from the back of first class, so I did not get my choice of dinner. Sure, whatever, I made this couple happy for three hours, but I thought maybe I'd be rewarded with karma points at the least. Nope. I got farting woman. I've gotten in the habit of saying no to passengers who like to seat switch. This is because I know the plane I'm going to fly in advance, I know the seat I want, I reserve the seat I want and I don't want any changes. If someone asks me to switch seats, I say "Unfortunately not this time, maybe you can ask someone else." Nobody is hurt in this situation. I am assertive and get the point across I will not switch seats, and they understand and ask the next person (and yes, they will ask everyone in that cabin to figure out a way to sit with whomever they're trying to). I've seen parents sit aisles away from their kids, and they were fine. It's weird to me that two friends or lovers can't take a short flight away without sitting next to each other, and I think it causes inconvenience and little disruption when they put you on the spot. OBVIOUSLY there are exceptions (like sitting next to your friend who has panic attacks or an old grandma) but the airline will sort this out beforehand with assigned seats, so the chances of you being in the situation of switching in these scenarios are basically zero. Anyway, if someone asks you to switch seats, get in the habit of saying no, because this faux pas needs to stop. If you're a super kind person who does not care where he/she sits, just remember: the woman next to you will fart. 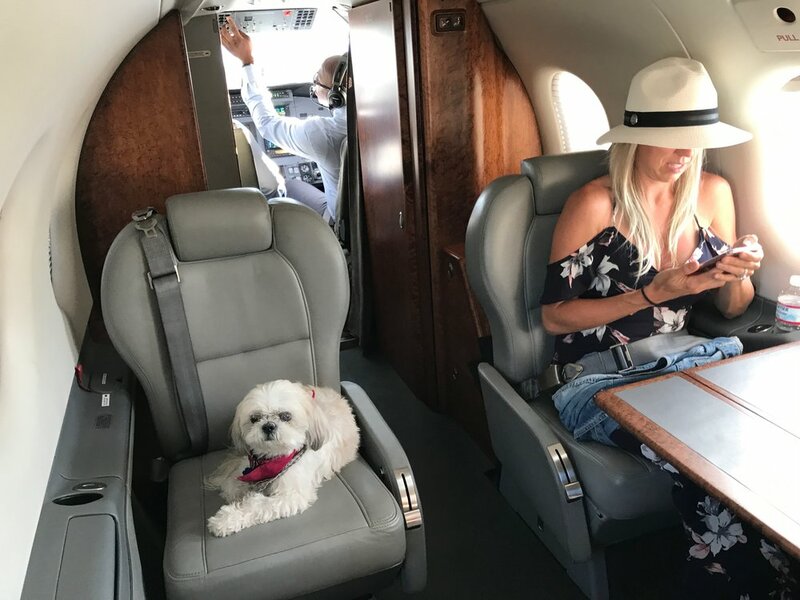 One place you don't have to worry about seat switchers: a private jet! Apr 4 HUGE changes for Travelbinger! Mar 3 At what point does the travel tip jar become intrusive?